Many women across Utah will develop uterine fibroids of some degree during their life, and a large percentage may never cause any symptoms or complications. 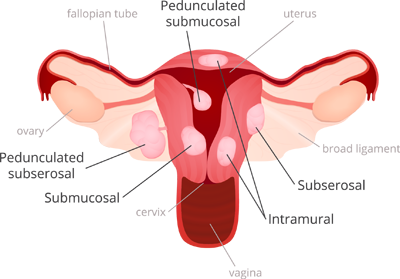 However, for those who develop larger uterine fibroids that call for medical treatment in Layton, Kaysville, Syracuse, Hooper, Brigham City, Bountiful, or surrounding communities, Dr. Amber Bradshaw-Whitear can recommend a wide variety of hormonal options and minimally invasive surgical procedures to alleviate the problem. If you have been experiencing any of the above symptoms and might need uterine fibroids treatment in Ogden, make an appointment to see Dr. Amber Bradshaw-Whitear today!